Illiopolis (population 916) is located in the very center of Illinois in the northeastern portion of Sangamon County. The town is located about 15 miles east of Springfield and 12 miles west of Decatur. "Old Route 36" runs through town and connects it to Interstate Highway 72 which passes by Illiopolis about a mile and a half to the south. The Norfolk Railroad lays tracks through the heart of Illiopolis to the east and west. The "Old River" flows to the southwest of town. An EXCELLENT history of the town can be found at the website address of http://illiopolis.com/ . This is one of the nicer websites of any small town on this site. It provides a detailed account of the history of the town of Illiopolis and its educational beginning. Some interesting facts found on this site include that Illiopolis means "City of Illinois". It was originally platted in 1814 for the purpose of becoming the State Capital. This idea was due to the area being the center location in the State of Illinois. After much debate the idea fell through and the the town of Illiopolis' original location was abandoned. A new town formed in the 1850s when the Norfolk Railroad laid her tracks through the area. In 1869 the name of Illiopolis was chosen for the town that had been platted just north of the original Illiopolis. The year of 1854 saw the first school house built in the town. In 1867 a brick school house addition was added to the original frame building. As the town grew another addition to the school complex was added in 1880. By the mid 1880s a high school curriculum was added. In 1891 Illiopolis High School enjoyed its first graduating high school class. 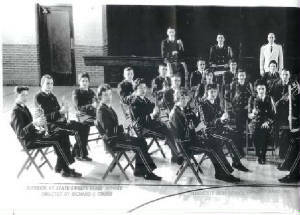 The class included 9 students. 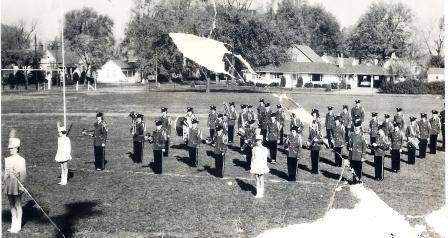 Illiopolis High School became an accredited four-year high school in 1912, one of the first in its area. 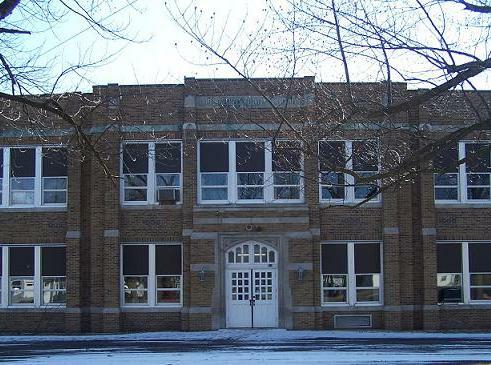 A new brick high school and a grade school building were built in 1926. 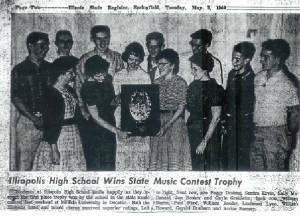 Illiopolis High School served its community very proudly for over a century. the early years of 2000 saw declining enrollment and financuial worries take their toll. Consolidation talks arose between the school districts of Illiopolis and nearby Niantic-Harristown. 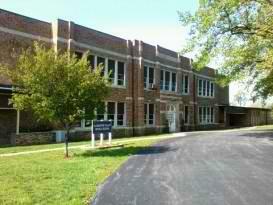 These efforts were realized in the spring of 2004 with the creation of the Sangamon Valley School District. 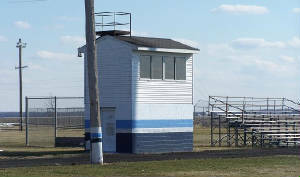 The high school for Sangamon Valley was located in Niantic. The junior high and grade school were located in Illiopolis. The Illiopolis high school builidng is pictured at the top of this page. Illiopolis HS team nickname: the "Pirates"
School Fight Song: "Illiopolis Loyalty"
We're loyal to you, ICHS. We're Red and we're Black, ICHS. For we know you have sand, ICHS! So crack out that ball, ICHS. We're backing you all, ICHS. A victory from you, ICHS! The Illiopolis kids were a very competetive bunch. Several titles were won and several state medals were earned. Included was a State Championship!!! 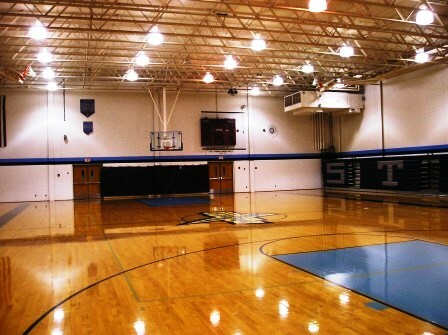 The boys competed in basketball, track, and football. The girls competed in track, basketball, and volleyball. School team nickname, colors, fight song, team records, and coach's names are all being sought. 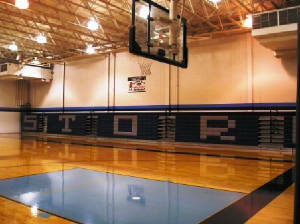 Move over Hebron, Illiopolis High School has a "David vs. Goliath" story of its own!! How about a STATE CHAMPIONSHIP in girls track! How about that this championship was won in a one class system! The girls went on to add three more top-five finishes, ALL in the original one-class format. An incredible group of athletes, led by Debi Kilhoffer, and the team, led by Coach Shirley Alford, brought home a slew of medals which led to this incredible run by the Lady thinclads of IHS. "Yes our lady tracksters were awesome - worthy almost of a movie. Among them, I believe Debi Kilhoffer went on to Illinois State University and, rumor had it, ended up holding a national record in the hurdles for one day. Rita Lamb went on to run the 800 at ISU - by the way, she is Rick Lamb's sister"
1972-73 Jani Blakeman High Jump State Champion!! Debi Kilhoffer 110 Yard Hurdles State Champion!! Relay Team 400 Yard Relay State Champions!! Debi Kilhoffer 80 Yard Hurdles STATE CHAMPION!! INCREDIBLE RUN by the Lady Illiopolis HS Tracksters!! The Illiopolis boys football team held their own as well. A total of four trips were made to the IHSA State Football Playoffs. In this group the Illiopolis grid iron heroes made it to the Final Four on one occassion and the Elite Eight on another!! Coach Jerry Smalling had the longest tenure of any coach at IHS, spending 28 years at the school and leaving with an overall record of 138 - 105. 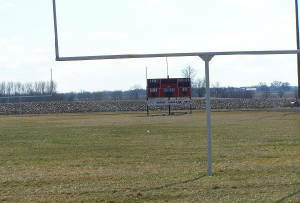 The football field at Illiopolis was officially named Smalling Field in honor of their great coach. 1981-82 6 - 3 Coach Jerry Smalling. 1982-83 11 - 1 Qualified for Class 1A Playoffs!! The Pirates of 1982 - IHSA Final 4!! *Coach Jerry Smalling was inducted into the Illinois Football Coach's Hall of Fame in 1989! Coach Smalling is said to stay in contact with his Illiopolis roots, attending many Sangamon Valley Storm football games (Thank you to Jack Campbell for this information). 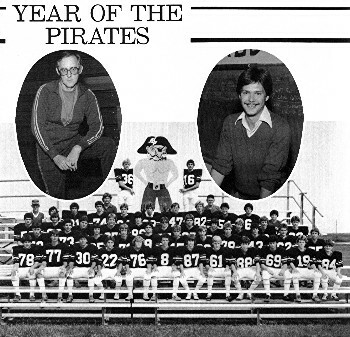 The 1982 Pirates finished the regular season as the #2 scoring team in the state, behind Joliet Catholic. During the regular season the Pirates outscored their opponents 367-53 for an average score of 40-6. 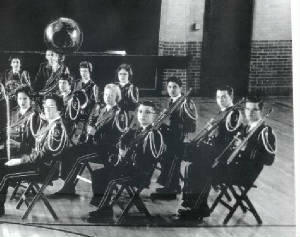 If not for a severly sprained ankle by Phil Young in the last regular season game and a blown out knee by fullback Bill Ballinger on his way to 193 rushing in the first playoff game against Williamsville, the Pirates would possibly have went on to win the Class 1A Championship that year!!" 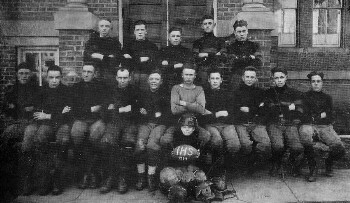 *In the 1920 photo the tall skinny fellow second from right in the back row is likely the same Robert Williams of state track 220 and long jump lore from the early 1920's of Illiopolis you will read about below. 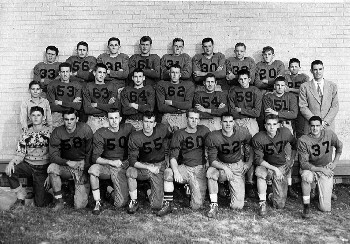 *Notice in the 1952 football picture #55, #56 and #38. They are the fathers of #74, #64 (top row 4th and 5th from left) and #9 (middle second row) respectively on the 1982 team. Three boys won individual medals at the IHSA State Track & Field Meet. One athlete, a boy named Robert WIlliams, socred second in two events leading the IHS team to an overall eighth place finish!! 1921-22B Team Finished EIGHTH in State Meet Competition! Acting as the host school, Illiopolis wound up third in Track with 26 points (Auburn 42, Chatham 35) and coupled with 30 points in Oratorical & Essay, fell one point short in the overall competition (Auburn 57). Illinois Traction System special trains brought students and fans in from all over the county to take part in the meets. Some streets were closed for the straight-away runs, which included running uphill to reach the finish line for the Half-Mile run. The Oratorical & Essay competition took place in the Opera House where Donald F. Clearwater of Illiopolis took first in Oration (speech) and Rose Warren of Illiopolis third in Essay. In Track, Elmer Dickerson won the 220-yard Low Hurdles in a time of 29 1/5th seconds, was second in the Standing Broad Jump and third in the 100-yard Dash. Roscoe Foster won the Hammer Throw (tossed it 98 feet, 8 inches), placed second in the Shot Put; Russell Johnson took first in the Discus with a throw of 86 feet, 11 inches. William Maxwell gained third in the Running Broad Jump. 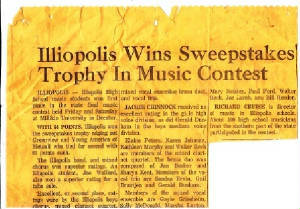 Illiopolis took second in the Half-Mile Relay. One District title and one Regional title, coming in back to back seasons, hi-lighted the Illiopolis HS boys basketball program. Other solid seasons, as listed on the IHSA website, are in turn listed below. Coach Dave Orr had some real nice seasons, we are told, in the 1970s. 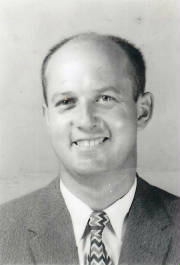 Coach Orr went on to coach at El Paso High School. He is the son of Coach Paul Orr of Anchor High School fame. Some of the Lady roundballer seasons are listed on the IHSA website. No tournament hardware was won, however some nice seasons were recorded. Charles Raymond "Ray" Demmitt was born on February 2, 1884 in Illiopolis, Illinois the son of James F. and Emily Whitesides Demmitt. He attended Illiopolis High School from 1902 through 1904. He played baseball for the University of Illinois in 1905 and 1906 and for the minor leagues, before going to the major leagues in April, 1909. Demmitt played for the New York Highlanders (Yankees) 1909; St. Louis Browns 1910 and 1917-1918-1919; Detroit Tigers 1914 and Chicago White Sox 1914-1915. 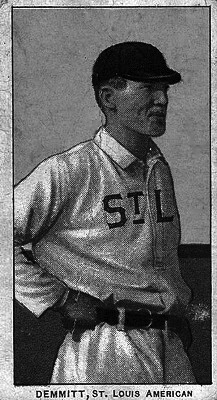 In his 7-year career as a big league outfielder, Demmitt batted .257 with 8 dead ball era homers. He enjoyed his best full major league season by hitting .281 for the 1918 St. Louis AL club. He died on February 19, 1956 in Glen Ellyn, Illinois at the age of 72. He was found living back in Illiopolis in the 1920 Census. "Star Rick Lamb (6' 8", 245 pounds) ... Rick lead the team to several conference titles and tourney championships in his era under coach Dave Ore. In his final season Rick averaged 36 points per game, which was one of the highest for the state that year. He went on to a successful college career at Illinois State University where he played for four seasons." Lamb, after finishing at Illinois State University, went on to try out for the NBA's Phoenix Suns. He ended up being the MVP of the CBA league and played in the European League as well. Rick Lamb was named the Decatur Herald & Review Small School Player of the Year in 1979. *Eric Weaver (Class of 1991) - Eric averaged 35 points and 22 rebounds his senior year. He went on a brief stint in the majors as a pitcher for the Los Angeles Dodgers and Seattle Mariners. He was arguably the best all around athelete in Pirate athletic history, being the quarterback of the football team as well. He turned down a baseball scholarship to Bradley University, where he very likely would have played basketball as well. In addition to the Dodgers and Mariners, he also played briefly with the Anaheim Angels. The last two summers, he has coached the Springfield Rifles baseball team. *Brian Herold - As part of the 1982 football team, Middle Linebacker Brian Herold made the Chicago Sun-Times All-State team for Class 1A. *Philip Young - was an All-Area selection for the Decatur Area, while several players offensively and defensively made All-conference as well in 1982. Illiopolis High School Band - "SUPERIOR"